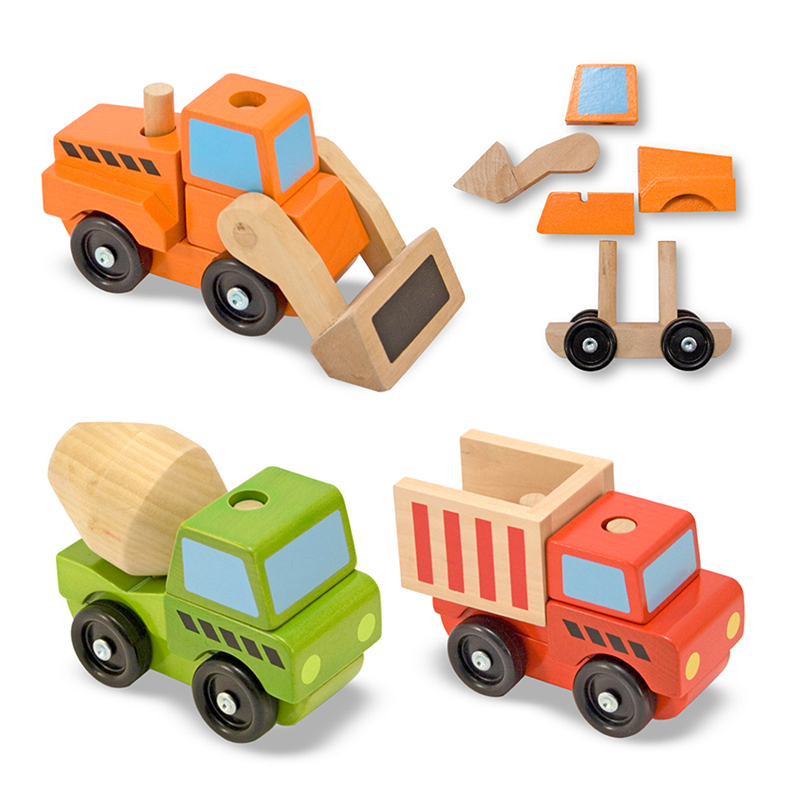 Always prepared for a hard day&apos;s work, these three chunky, wooden construction vehicles, packaged as a set, include a bulldozer, a dump truck and a cement mixer. Each vehicle has a free wheeling base and is constructed of solid wood stacking parts. The fun is endless, as they can be taken apart and rebuilt again and again! !